An electrical safety policy is in place. Management is committed to the objectives of the policy. Sufficient resources have been provided to ensure that the objectives of the policy are met. Staffs at all levels are aware of, and understand, the policy. Safe Work Method Statements and Risk Assessments are in place. Requires designers and/or suppliers to meet all appropriate component, equipment and installation statutory requirements. In the case of plant, requires the supplier to forward a copy of a designer’s risk assessment and critical control measures statement. A register of electrical equipment, appliances and tools used in the workplace has been compiled and is kept available for inspection by all employees and their representatives. The register includes dates and details of regular testing and maintenance. Procedures are in place to ensure that electrical work, including installation, modification and repair of electrical systems, appliances, tools or equipment is always carried out by an appropriately trained and competent person. Procedures are in place to check that all electrical contractors are appropriately qualified. There are procedures to limit work on live installations, appliances and equipment to circumstances where it is essential and not merely for convenience. High-voltage electrical work (if required). Work near overhead power cabling. Any underground excavation work in the vicinity of cables. A permit to work system is used for high voltage work, work near overhead cables, excavation where there may be underground cables and any work where electrical equipment needs to be live. Permits are correctly used and describe the task, its specific risks and precautions to be taken. Relevant people have been trained and are competent for the work listed above and the use of the permits system. Perform work on any electrical systems or components. Undertake risk management in relation to electrical hazards. Issue confined space entry permits. Design and lay out the workplace (including those who plan and implement modifications to any workplace). Manage and/or supervise people working on any electrical system or components (including any contractors) purchase, distribute, fit, wear and maintain personal protective equipment used to protect people from electrical hazards. Isolation and lock out equipment is used and there are documented procedures to ensure that work is not carried out while equipment is live. Electrical core balance circuit breakers (also called residual current devices, RCDs) are fitted to all new circuits and all circuits used for portable tools and equipment, and where electricity and water may be present together. There is a procedure for regularly checking RCDs and the date of the last check is recorded. Where flammable vapours may exist in the workplace a hazardous zone assessment has been carried out. Where hazardous zones have been designated, all electrical equipment in these zones is of an appropriate type, unless a specific permit to work has been issued by a competent person. All overhead bus bars and non-isolated electrical terminals are inaccessible to all personnel. The protocols for testing and maintaining electrical equipment, appliances and tools have been agreed and incorporated into written procedures. All relevant employees’ supervisors and contractors are consulted concerning electrical hazards and provided with information and training on electrical hazards in the workplace. Adequate protective equipment to safely undertake electrical work is provided, with written protocols for its inspection, maintenance and use. All relevant employees and their supervisors receive appropriate information, training and supervision to ensure the safety of personnel involved in working with, or near, electrical hazards. A system is in place to ensure that all accidents, incidents and near misses involving electrical equipment, appliances and tools are reported, investigated and recorded, and that appropriate corrective measures are implemented. 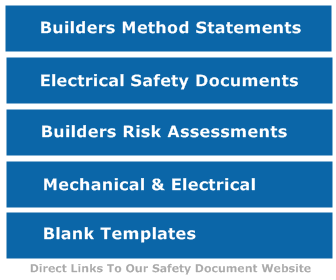 Records of hazard identification surveys, risk assessments, control measures and training records related to electrical work and electrical equipment, are kept for the duration required by local regulations.